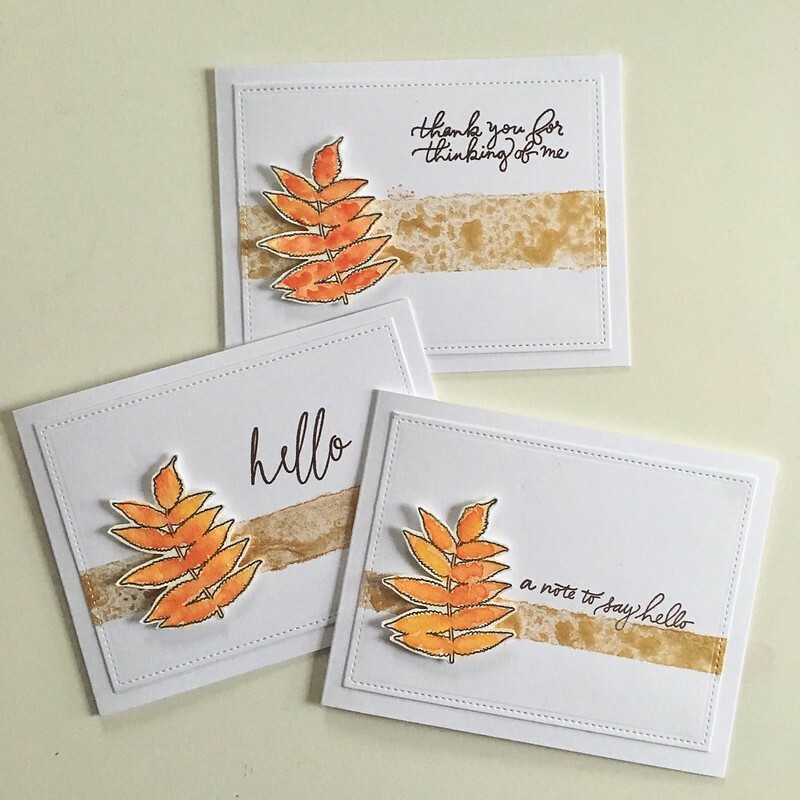 I recently purchased the Autumn Leaves stamp set from Wplus9 (I’ve been swooning over it for quite a while) and now I want to make ALL THE FALL THEMED CARDS. 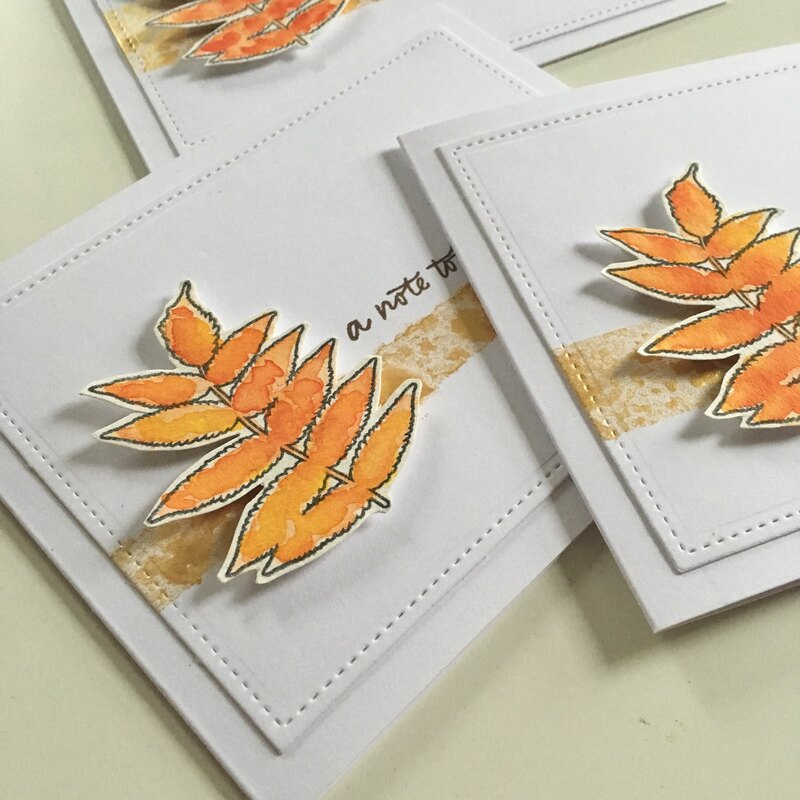 I started by stamping several of the outline leaf images on watercolor paper, and painting them in yellow and orange tones. I added several layers of watercolor to each image. While the leaves were drying, I cut some panels out and masked them off so that narrow strips were showing, and sprayed the open areas with some gold color shine spray. The gold is really pretty and metallic but unfortunately does not show up well in these photographs. 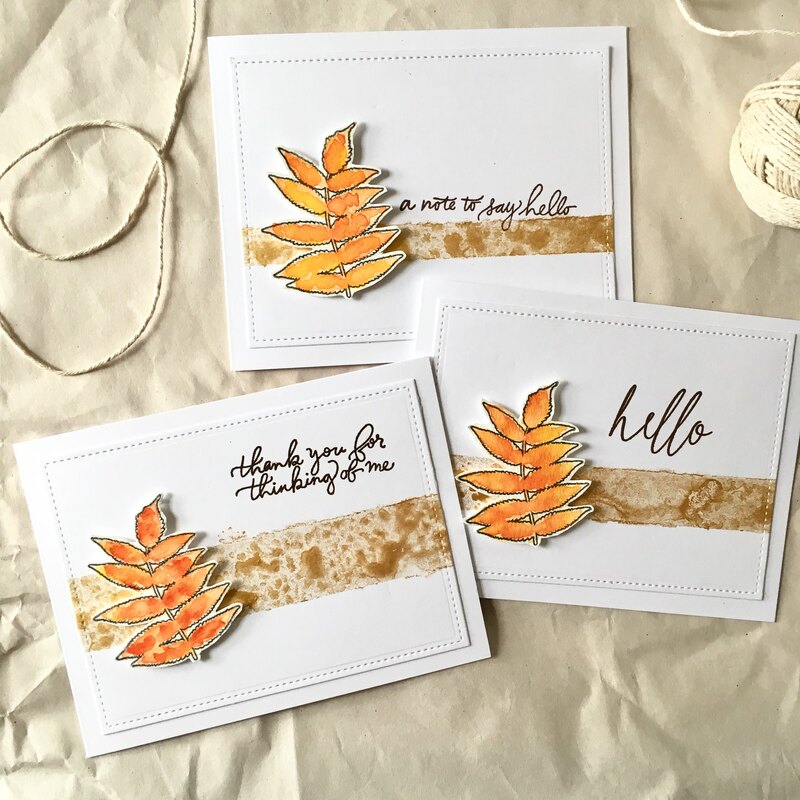 When everything was dry, I started stamping some sentiments in Sepia VersaFine ink. 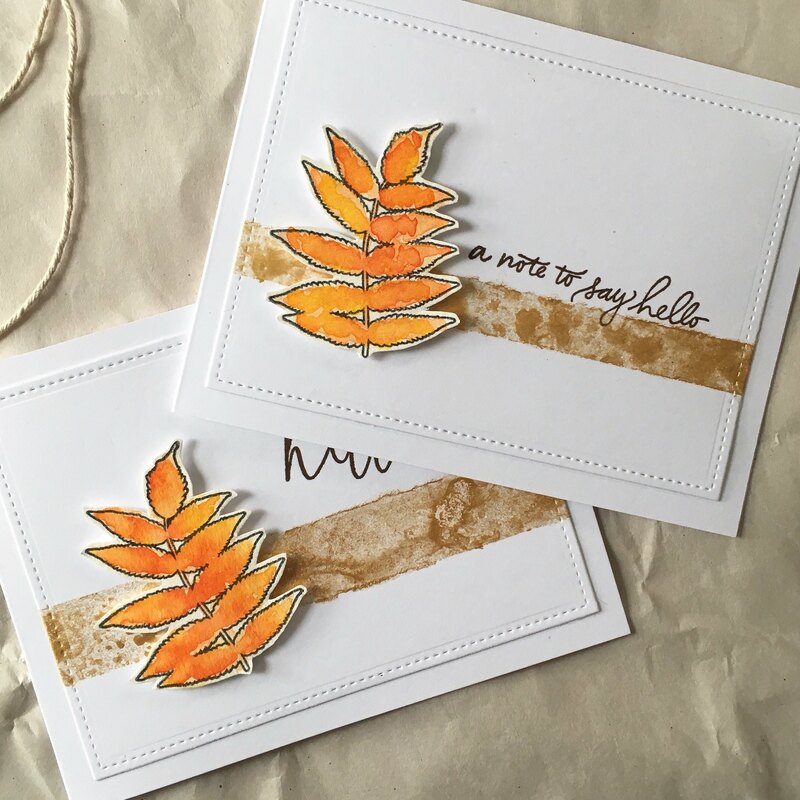 The sentiments come from two different stamp sets: Doodle Buds and Handwritten Floral Greetings. Then, I mounted the panels to a 4bar card base, and added my leaves using foam tape. Best part? These are available for purchase in the Freshwater Studio Shop!